Staying active, eating chocolate and getting a little art therapy goes a long way! Let’s face it, the arctic weather this year has taken a toll on all of us. (Is it flip flop season yet?!) I’ll speak on behalf of all women out there that we could all use a little renewal this spring to cure the winter blues. We got you, girl. Check out some ways we’ve found to Spring into Joy below! When the weather starts to warm up and the ice starts melting, go outside and soak it in! Or at least open the windows! Take a walk, bring the kids to the park, go have a picnic. The much-needed dose of Vitamin D can certainly boost your mood! Grab your ear buds and get moving! Physical activity stimulates various brain chemicals that may leave you feeling happier and more relaxed. Exercise combined with a healthy diet has the greatest impact. P.S. did you know dark chocolate is full of anti-oxidants AND can help enhance your mood!? We didn’t make this up. Keep your social life active. Enjoy a night out with girls for food and drinks or some art therapy! Did you know that painting can relieve stress, encourage more creative thinking, build self-esteem and create an overall healthier state of mind. Pairing WINE with PAINT — we may be biased but it’s the perfect combination to de-stress and feel rejuvenated! The never-ending To-Do list… don’t let it be never-ending. Cross something off! It’ll give you a sense of accomplishment and boost your mood. It can be something little like organize a junk drawer (we all have them!) or something bigger like “Marie Kondo-ing” your closet. Just get something done so you can put a big check mark next to it. It’ll bring you joy! Whether it’s planning your next date night or girls’ night or a big vacation, start a Pinterest board with some ideas. The planning process, itself, will boost your mood! There you have it. 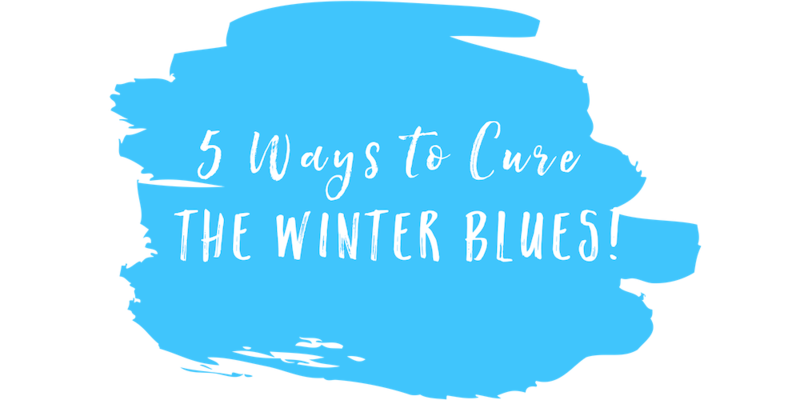 Whether you take a walk in the park, re-organize your closet or de-stress with some wine & art therapy, we hope you benefit from these tools to help cure those winter blues and Spring into Joy!